How difficult will I find the work? Will I make friends? How will I eat well on a student budget? These are just some of the questions and concerns you might have ahead of starting university. But whatever you need, you’ll always find advice and guidance within reach, and support will be available throughout your student journey. 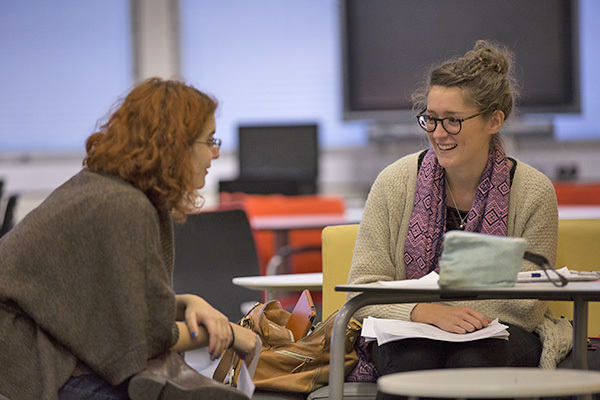 You’ll meet your personal tutor for regular catch-ups, where they will offer academic and pastoral advice, discuss your progress and help with any concerns you may have. They can direct you to more specialised help if appropriate. 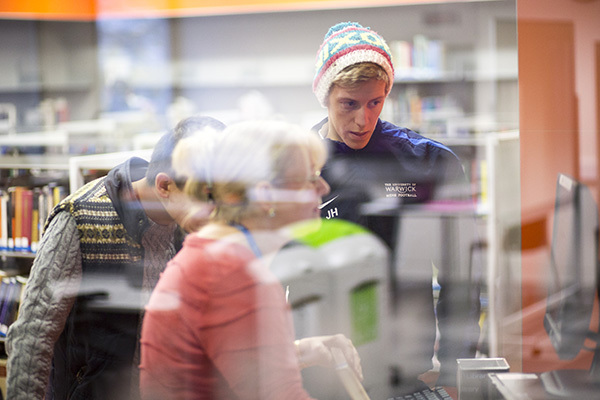 The Dean of Students and Department Senior Tutors work closely with Wellbeing Support Services to help you if you’re experiencing difficulties with your studies and to oversee the Personal Tutor system. The team provides advice and support, and can signpost you towards specialist teams on both academic and non-academic matters. These members of staff and postgraduate students live alongside you when you live on campus in our halls of residence. This means they are close at hand if you need someone to chat to and they can help you adjust to living away from home among new people. If you are experiencing mental health difficulties, the team can provide advice, information and support to enable you to participate fully in university life. If you have a disability or specific learning difficulties, Disability Services provides tailored support and can put in place individual reasonable adjustments to ensure you can successfully complete your course and get the most out of your time at Warwick. The team also promotes disability awareness and inclusion across the University. This service enables you to access confidential therapeutic counselling services, including individual counselling, group sessions, workshops and email counselling. Members of the Christian (Anglican, Free Church, Roman Catholic), Jewish and Muslim faiths will listen in confidence, whether you have faith or just need someone to talk to. If you are registered on campus, you can access a range of NHS services through our Health Centre, with advice and treatment from male and female doctors, and nursing staff. For guidance on all aspects of financial support, including government grants and loans, and scholarships and bursaries provided directly by the University, contact Student Funding. The team can also offer budgeting advice to help make your money go further. 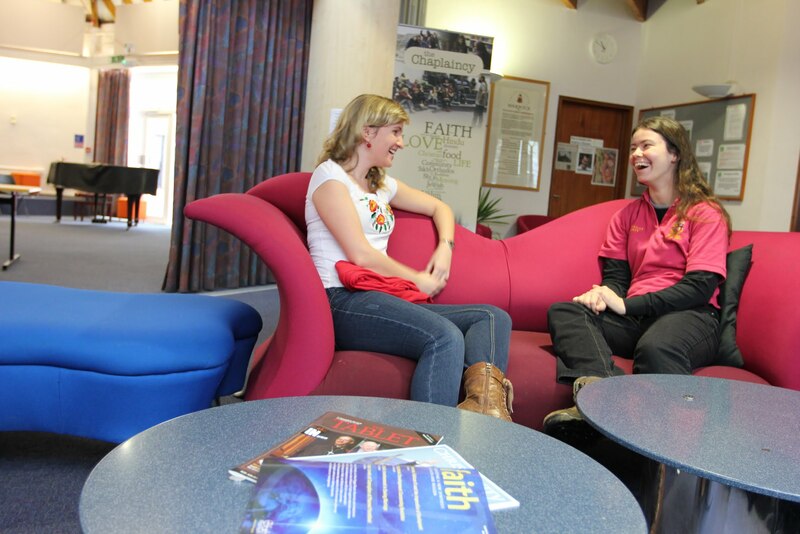 The SU provides a range of support services, including the Student Advice Centre, a one-stop shop where you can get free, confidential advice on all aspects of student life. The SU has an elected Welfare Officer, who communicates with students about support services and runs awareness campaigns on a range of welfare-related issues. It also runs Nightline, a confidential and non-judgmental peer support service, which is open from 9 pm until 9 am. From the moment your place at Warwick is made unconditional, the Induction Team will be in regular contact with you to ensure that you have all the information you need about starting at Warwick. They will also help ensure that you settle in when you arrive here. Our Security Team provides a 24-hour service to ensure a safe and secure environment for staff and students. They can provide general assistance as well as an emergency response.